Performances will be from 1st to 5th May at Eliszis Jahrmarktstheater in Stuttgart. Floor LegendZ is a professional break dance crew with broad international experience. The team which was initiated in 2007 by two brothers (Nino and Vane) in South Germany has meanwhile developed to a transnational formation. These days Floor LegendZ is performing with members from countries such as Morocco, Australia, New Zealand, Venezuela and France at many places around the globe (Berlin, London, Paris, Seoul, Sydney, Taipei [...]). Our involvements include cooperations with companies like PUMA, LEGOLAND, SAP and SONY. We offer top-level entertainment and a guaranteed impressed audience! Stunning acrobatics, impressive dance performances, supreme body control and fast turns around the body's own axis. All this in a combination of comedy and inclusion of the audience characterize our show. We entertain all different kind of occasions and events. From street performances to private parties, weddings, galas or corporate meetings. Beside that, we are also available for modeling or workshops. For years, the Floor LegendZ have been booked as the highlight at events of all kinds and always trigger the desire for an encore. Do not hesitate and let us inspire your audience! Over 10 years experience gives Floor LegendZ the know how to turn your event into an unforgettable moment! As your partner, the success of your project and your satisfaction are our priority. Floor LegendZ consists of international dancers from all over the world. All have many years of experience in dance and performance. Each member can be booked individually or as a group for shows, workshops and modeling. Nino is a passionate dancer and gymnast. Due to his attraction to especially hard moves, he has developed an energetic, spectacular style. Being a street performer all around the world, Nino knows how to entertain. 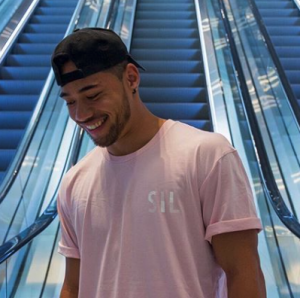 He is also an experienced dance and gymnastics instructor, choreographer as well as event organizer. Arnold aka Crazy Nut is an experienced dancer, model, and entertainer who was born in Siberia, Russia but raised in Germany. 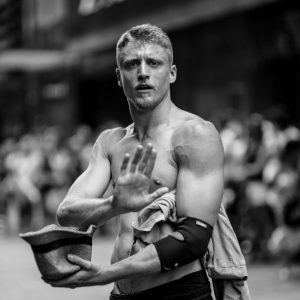 Since starting dance in the streets of his hometown, he has become a professional street performer all around the world, as well as in different events and festivals. His style is acrobatic, dynamic, and powerful. Powermoves and handstand balancing are some of his specialties. Vanesco started dancing in 2002. 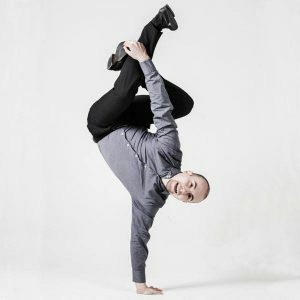 Soon after having attended classes of the former German breakdance champion Vsan, he began teaching others, participated in competitions and performed shows in different kind of events. 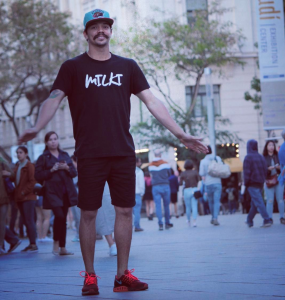 Since 2005 he also became committed with the organization of break dance events. In 2007, Vanesco founded 'Floor LegendZ' together with his brother Nino. 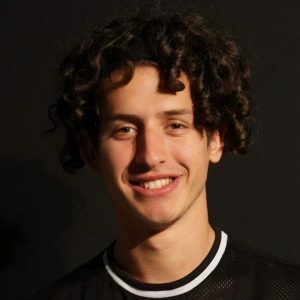 Meanwhile Vanesco has developed a passion for various kinds of dances including Latin social dances. Besides doing dancing, modelling and marketing jobs, Vanesco works as IT specialist. 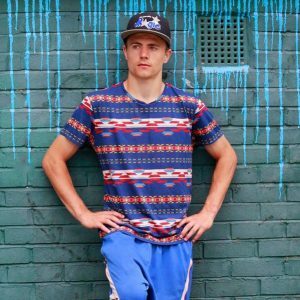 Bboy Bison based in Sydney but born and raised in Morocco is a professional breakdancer who has travelled the world performing in theatre productions, street shows and private events/functions, as well featuring in numerous dance competitions and commercials. His experience earned him the privelage of dancing with companies such as Notre Dame du Paris and Cirque Du Soleil to name a few. 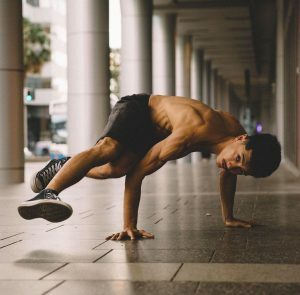 Jonathan aka Giovanni, aka half Italian half Bruce Lee, started breakdancing in 2009, in Sydney Australia. Since starting he has volunteered and taught workshops in various NGOs in Cambodia, schools in Europe, and in Australia. Jonathan was born in Australia, however is of Italian/Chinese/Hungarian background. Being brought up around diverse cultural backgrounds, this inspired Jonathan to want to travel the world. His style and character is playful and creative. He loves creating from different shapes and positions with his dance, which includes power, footwork, and freezes.